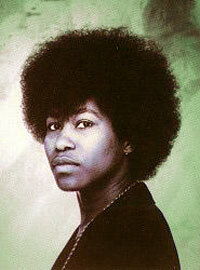 Joan Armatrading Biography, Discography, Music News on 100 XR - The Net's #1 Rock Station!!! Born on December 9, 1950, in the Caribbean, in Basseterre, St. Kitts WEST INDIES, to be exact, Joan Armatrading moved with her family to Birmingham in 1958 where she taught herself to play the guitar and piano. 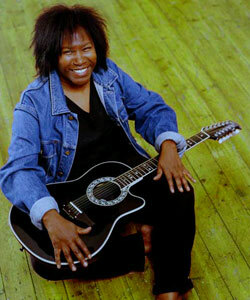 Armatrading began her career playing small sets of her own music at local clubs as a teenager. While she believed her talents fell mostly in songwriting, her voice was good enough to land her a part in the musical "Hair" in 1970; also performing in "Hair" was lyricist Pam Nestor, another island native, who paired with Armatrading to write music and eventually, to record demo tapes. The tapes were so popular that the duo signed with London's Cube label and soon released a collaboration titled "Whatever's For Us" in 1972; Cube, however, considered Armatrading to be the more likely star material and the album was credited to her alone; the record was a greater critical than commercial success and was licensed for North America by A&M Records. Nestor and Armatrading soon parted ways and Armatrading did not release another album until 1975, when "Back To The Night" came out, worldwide, on A&M.